I wanted to make it more modern and more directed to the older fairy tale enthusiast. I include elements of the wolf into my design as well, such as fur gloves and a fang necklace. This is the basic idea for my design, it is made from various images I found on the internet. 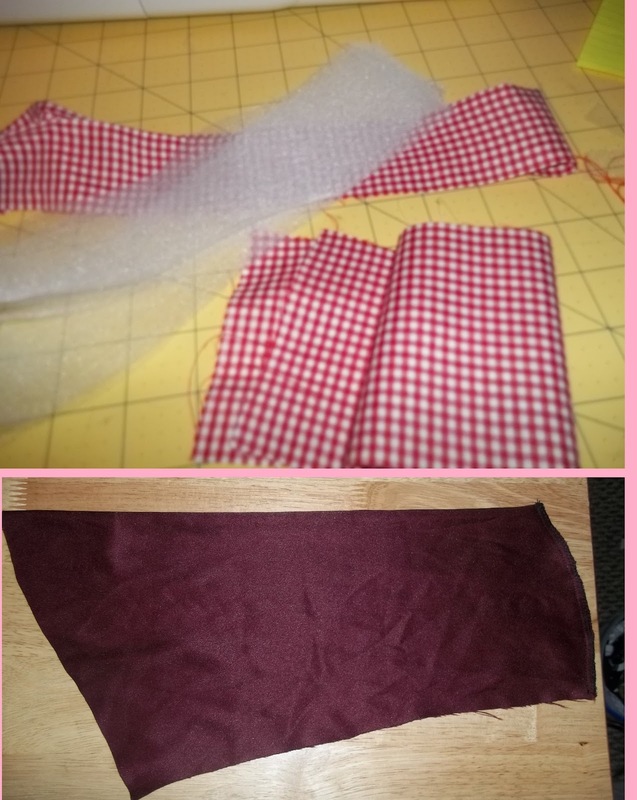 Here is all of the pieces waiting to be sewn. The lace and the sweet heart top. 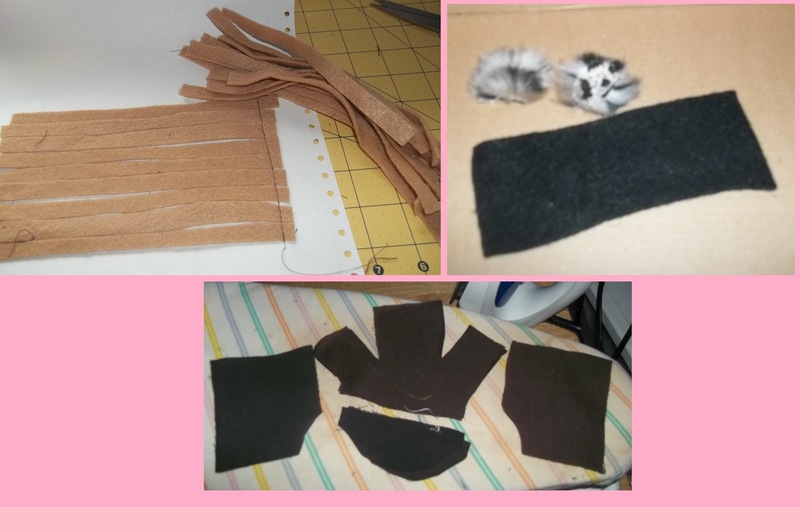 Sewing the strips of felt to paper helped keep everything in place as I wove them together . Checking the fit of the lace top. The bias on the sweetheart top is waiting to be sewn. A better view of the top stitching on the sweetheart top. Sewing the tulle on the under side of the skirt. Sewing the the trim on to the edge of the hood. Sewing the zipper on the inside of the purse. Hand stitching the buttons onto the boot. The unfinished glove, you can see the finished thumb hole. I couldn't find any tooth colored clay, except for....glow in the dark. It has a wire though it, than wrapped with thread, and lastly the thread is cover with ribbon, there is also ribbon in place of a chain, but it has a clip, up-cycled from another piece of jewelry to secure it. Here is a close up of the boots. The gloves, purse and necklace. Here is a pic with everything in view. Here is without the hood on, see the layered tops? she has a black lace long sleeve top, with a slightly scooped neckline, it has a partial Velcro closer in the back, and is worn under a strapless sweet heart top, with top stitching on the bodice it has Velcro the entire length. The gingham skirt has just the perfect ruffle and give the outfit a pop of bright color. The hood is a darker shade than what is common, but I think complements the outfit perfectly, it had black trim along the front and on the hood, it closes in front with a hook and eye. has a twisted cording for a strap and has a working zipper, it is also lined with a bright red cotton fabric. I've finished the edges of the faux fur on the fingerless gloves with fray check, the gloves are hand stitched, and the edges have been finished with tiny blanket stitches, allowing the fleece to have a slight stretch. both ends are finished with fray check and there is a decorative button at the end of each strap, sewn over a snap, these boots, because of the elastic straps can be worn with or without socks. This is my third year of the FDC! Vote for Entry #35, by writing -- "I vote for Entry #35." I vote for entry #35! So pretty! This is soooo cool! 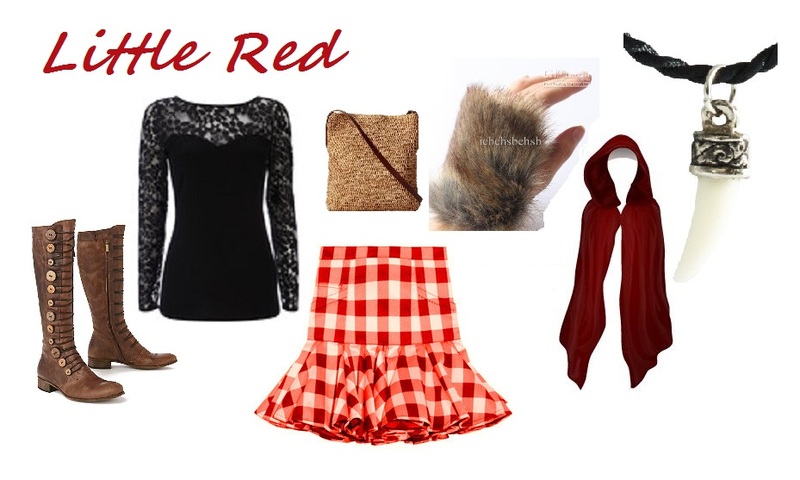 I love the mixture of wolf and girl...NTM I just love fairy tales:) I vote for entry #35! Love this... I vote for number 35! I love little red! I will definitely vote for entry #35! I vote for #35 because she show creativity and a excellent handle on both sewing techniques and fashion. I vote for #35. She shows excellent sewing techniques as well as fashion design. This is very creative! I vote #35! <3 it!! I vote for #35!! I love the boots!! I vote 35!! great job! I vote for 35, great work! I Vote for this one. so cute. I vote for entry #35. Super cute and awesome idea! I like how you incorporated the wolf into the outfit. I vote for entry #35!!!!!! I vote for entry #35.